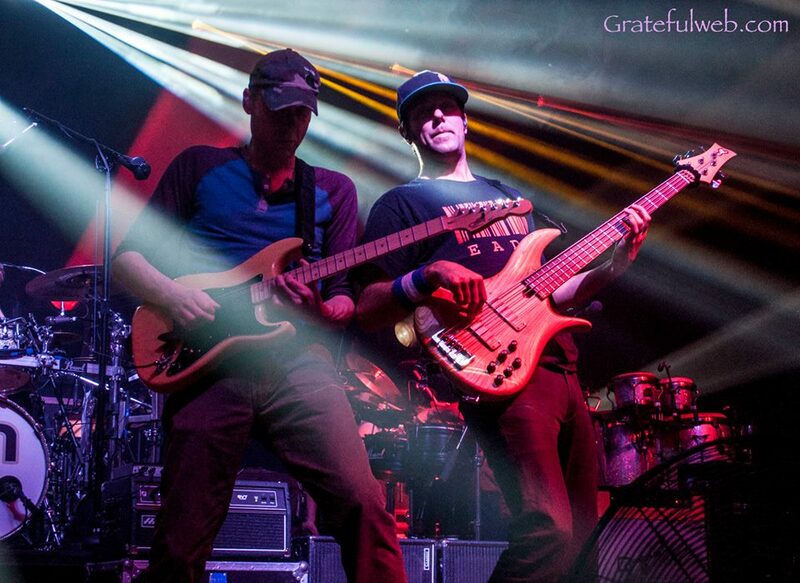 If there was one word that could be used to describe the band Umphrey’s McGee it would have to be “progressive”. Not just in terms of the music they play, but in their approach to how they present their craft. This is a band that over the course of their 16 year career has constantly looked for new ways to engage with their fan base, whether that is through their interactive Stew Art series, their annual UMBowl concerts, or the innovative “Headphones and Snowcones” experience listeners can hear during their enigmatic live performances.This year the band has decided to take that progressive approach another step further by creating their own recording label, the aptly named Nothing Too Fancy Music. In today’s shaky musical environment it takes a lot of balls to create your own recording and distribution company, however Umphrey’s McGee have proven they are never afraid to take daring steps to ensure their art is presented on their own terms. To celebrate the birth of their new endeavor the band is releasing their eighth studio project called Similar Skin; an album that stands as their boldest, most aggressive, and complete album to date.While some of their previous releases contained a diverse mix of their prog-rock, funk, jazz, and jam styles Similar Skin has a totally hard rock, almost progressive metal feel throughout each track. In an interview with Billboard guitarist/vocalist Brendan Bayliss said the intent of this project was to “make an old fashioned rock ‘n’ roll record. Everyone says rock ‘n’ roll is dead; let’s prove them wrong.” They have always tip-toed around the line of hard-edged rock and roll, but this album is all that and certainly lends weight to Bayliss’ proclamation. And unlike their last studio project Death by Stereo, which was more of a random compilation of genres, this latest release has a certain continuous vibe where every song appears to coexist with the others.Even the addition of older compositions like “Bridgeless” and “The Linear”, which have been in their concert rotation for many years, seem to fit right along with new tracks like the blistering “Cut the Cable” or the hair-metal-tinged “Little Gift”. The mix of veteran and amateur tracks flowing seamlessly together is a credit to the band’s intense musical abilities, however attention must be paid to having the wisdom of long-time UM producer Manny Sanchez (and Greg Magers) to help guide the band in the direction this album needed to go. It remains to be seen how long time fans of the band will greet such a weighty album, but there is no doubt that this group has proven to be a chameleon of sorts and are always adapting to new musical styles and cultures, all the while remaining true to their unique, quintessential Umphrey’s McGee sound; a formula that has allowed the band grow in popularity with each passing year. Whether you dig the heavier side of the band, or their pop-inspired jam alter ego, the fact remains that these boys continue to evolve and innovate with every album.